OLD PARKED CARS. 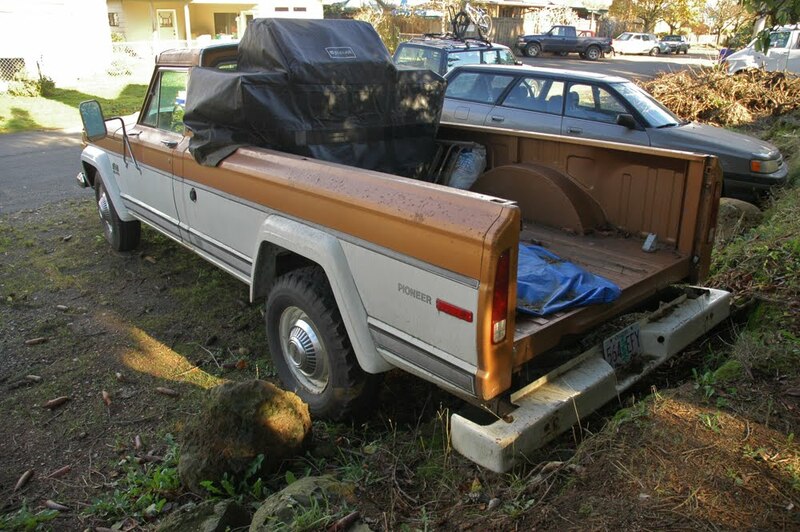 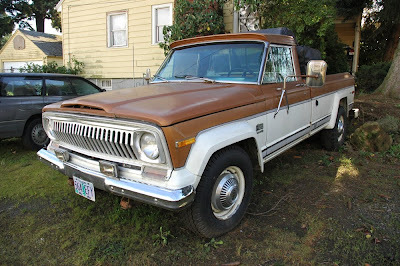 : 1974 Jeep J20 Pioneer. bed-sides look fragile, hood reminds of a sixties IH travelall, it took me three takes to notice the incredibly tiny "jeep" grill emblem. 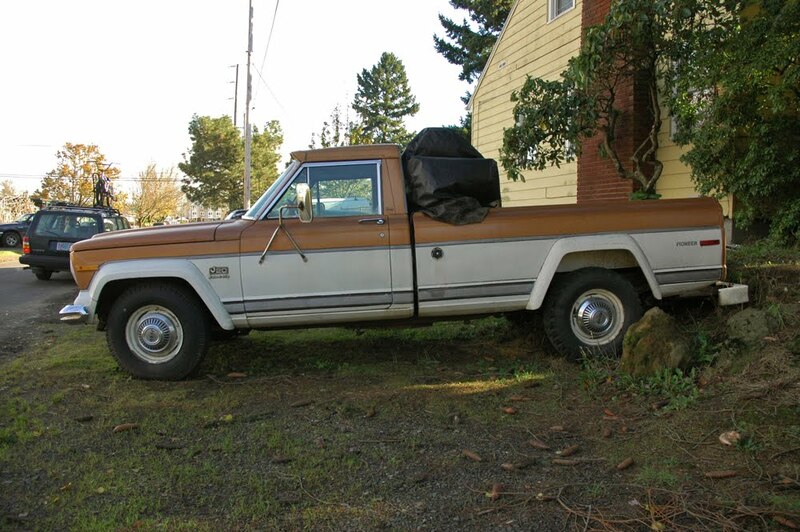 What a beautiful truck. 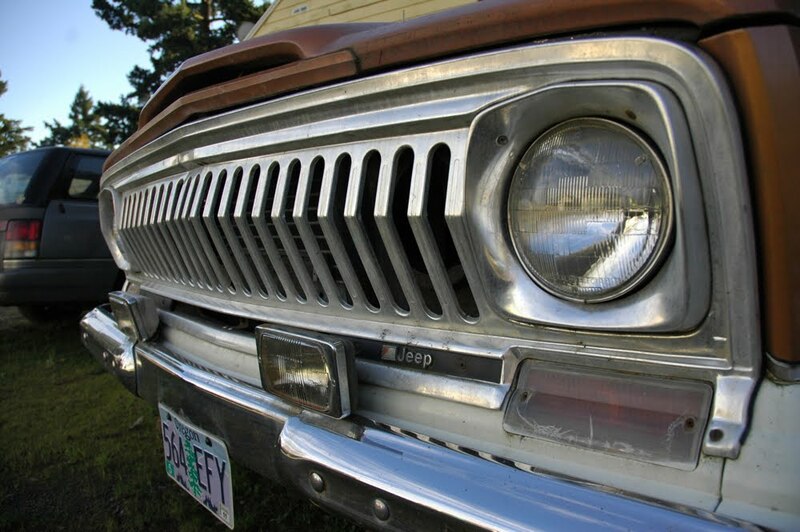 That grill does look like it is off of a Travelall. Love the color combo.